It’s hard to describe the feeling of freedom I felt when I left my job as editor of an online business research and analysis site, and started to write a middle-grade novel on honeybees, pollination and Colony Collapse Disorder (the still mysterious syndrome that is killing millions of honeybees around the globe). I had been a business journalist for more than three decades in Washington, Boston, and Philadelphia, where I now live. All of a sudden, with the decision to write a work of fiction, I could make up names, make up quotes, make up scenarios, and I didn’t have to present the most important information high up (as one does in journalism). Instead I could have the novel roll along at different rhythms until the final scene. The result is Bees on the Roof, published by a small Boston-based publisher that specializes in environmental fiction for kids primarily in the sixth, seventh and eighth grades. THL’s philosophy is that if you don’t interest kids in the STEM disciplines (science, technology, engineering and mathematics) by the time they are in seventh grade, then you have lost them. The “fiction” part of my book is the story of four middle school kids who, as part of a science competition, set up beehives on the roof of a Manhattan hotel where the father of one of The Bee Team members is the head pastry chef. There is intrigue, bullying, romance and so forth, but there is also the “environmental” part. This refers to all the factual information woven into the story describing the incredibly fascinating honeybee, which I spent a year off and on studying by reading books and articles, doing web searches, visiting beekeepers (including the beekeeper at Monticello) and attending bee demos at nature centers. The more I immersed myself in these insects, the more impressed I was by their very sophisticated navigation, communication, and food production systems as well as their efficiency, teamwork and social structure. Plus, I couldn’t help but be drawn in by a matriarchal society where females rule, there is no king, and the only males are a few lazy drones who, once they mate with the queen, die or are kicked out of the hive. My introduction to honeybees began several years earlier when my brother, a backyard beekeeper and architect, brought me a jar of his bees’ honey. But my commitment to writing about them began when I wrote an essay for The Wall Street Journal focusing on my fascination with bees and how I might someday make them the subject of a book. People then began asking, “So where’s the book?” I considered an adult non-fiction book about honeybees but since I don’t have any particular bee expertise and because there are hundreds, probably thousands, of non-fiction books about them, I finally settled on a novel for kids that could include the factual, but also the fictional. 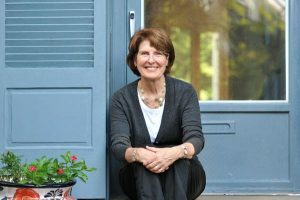 I loved researching the bees, writing the text, rewriting the text, sending it off to a publisher, getting it accepted, revising, proof-reading, getting endorsements, seeing the book on Amazon. I knew that making the switch from journalism to fiction writing would be risky. But one thing I learned from covering business was that people who don’t take risks—when the idea for a new company, new technology, new strategy presents itself—can come to regret it. So far, I have no regrets, just a challenge: Finding a topic I feel passionately about for my next book. Former Streetlight contributor Robbie Shell is a Philadelphia-based writer whose work has appeared in numerous publications including The Wall Street Journal and The Philadelphia Inquirer. She has long admired honeybees for their teamwork, waggle dancing and ability to make a home on every continent except Antarctica. This is her first work of fiction. 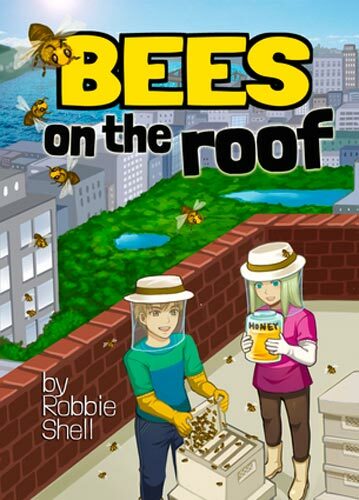 Bees on the Roof was published by Tumblehome Learning.